Yes, as you know, I love Eliot but he can be a bit depressing. (Understatement.) Near the end of Garlic and Sapphires by Ruth Reichl (love her), her husband announces that these Eliot lines kept running through his head. He points out that Reichl may have lost her way; her job is not fulfilling anymore. In fact she has literally morphed into another person (or persons, if you will). 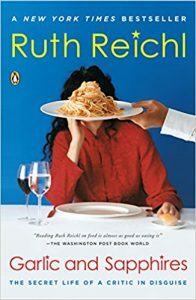 Garlic and Sapphires: The Secret Lif of a Critic in Disguise by Ruth Reichl is the June/July selection for Cook the Books. Claudia at Honey from Rock is hosting. (You can read the announcement post here.) Garlic and Sapphires was one of the very first Reichl books I read. I became a bit obsessed with Top Chef Masters back in 2011 and I started reading everything she had published and collecting cookbooks she had edited. When Claudia chose this selection, I thought, “Good thing….I have already read this one.” I planned on skimming it. Then I picked it back up. I re-read it cover-to-cover in one afternoon and evening. The famous Jacques Torres being talked into being a pastry chef at Le Cirque (2005). I found it hilarious that she had to write instructions in her reviews on how to eat edamame. I agree that “ersatz” is a great word! How sad it was to read about her dining at Windows on the World. She had to define umami for her readers as well way back in the day. The dreary and seedy descriptions of Times Square (pre Guiliani). Ironically, one of the sections that I most remembered from my previous reading was that of Tavern on the Green. It’s ironic because that was some of the worst food she reviewed. I think I was struck by her description of the place (as seen through the eyes of her five-year-old son) as a wonderland of NYC. Photo credit to NYC The Official Guide. As her friend Carol battles cancer and her husband Michael (and others) begin to point out that she might not be happy as the NYT’s restaurant critic, Reichl finds herself back in her kitchen. Twenty years later, she felt the same thing as she found herself bounced from Gourmet and that esteemed and iconic magazine’s closing. The same attitude is evident in My Kitchen Year: 136 Recipes That Saved My Life (September 29, 2015). She finds her solace in the kitchen. There are many food references and recipes in this memoir that I could have chosen from, everything from bland and inedible airplane food to Aushak (an authentic Afhan recipe that she found when she returned to her kitchen haven). Instead I decided to do a comforting pasta and I pulled down the enormous lime green Gourmet Today and went on my own search. Basil and olives and goat cheese, oh my! 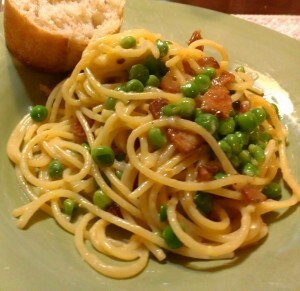 Toss hot pasta with goat cheese in a large bowl until cheese is melted and coats pasta. Add tomatoes with juices, olives, a splash or two of olive oil, basil, and salt and pepper to taste and toss to combine. 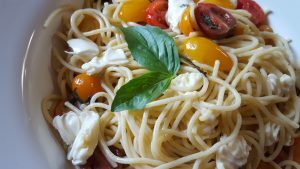 This recipe makes such a fresh dish, especially when one can go to the garden and pick cherry tomatoes and basil. It’s also just as good cold as leftovers. I have every single one of Reichl’s books along with the aforementioned Gourmet Today and the huge yellow The Gourmet Cookbook. If I were ever to do a “Julie/Julia” type project, I would cook my way through every single one of her books. Love her! Thanks to Claudia for revisiting one of our true food treasures. (In 2015, Comfort Me with Apples was a CTB selection.) I find Reichl’s writing so genuine—anything but ersatz. For some reason, when I write about Reichl, I post pasta. What’s up with that? Plea: During my re-reading, I also realized that I was missing pages 291-292 and the last two pages of Garlic and Sapphires. (It was a used copy.) I am assuming there were some good recipes listed here. Somebody with a complete copy, let me know please. I am linking up with July’s Foodies Reads. Your pasta as always looks scrumptious! I read all the Reichl memoirs as they came out, and really enjoyed them. This one was especially meaningful because she came to a local bookstore to publicize it, so I heard her read some of the character sketches of her own characters before I read the book. 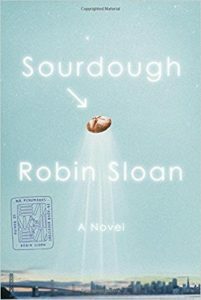 I bet you will really enjoy “Sourdough” — it’s a great and funny book. Debra, so glad you enjoyed the book, and opened with that Eliot:) quote! I was going back through it trying to find her reference again. She is so honest, whether writing about herself, or about the food. I’ve got that some humongous green Gourmet book, and often refer to it. Great recipe to remember the story with. Nice! I make the aushak and thoroughly enjoyed it. Looking forward to Sourdough…again. I read it earlier this year. I’ve never heard of Ruth Reichi, so thanks for the review and mention of her other books. I’ll check her out. 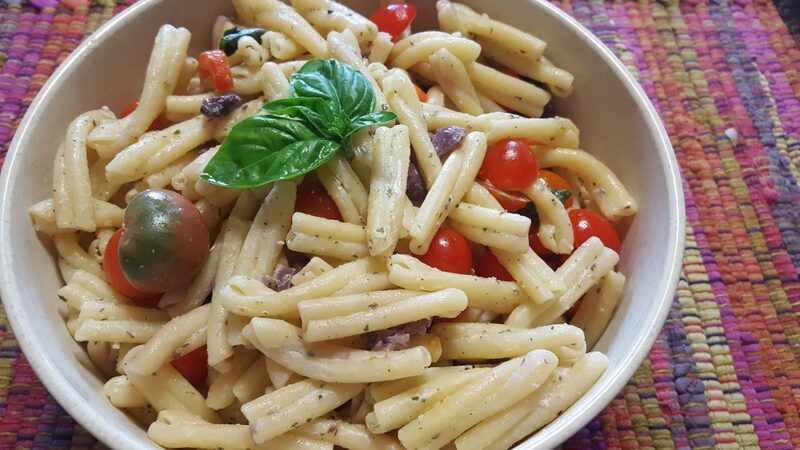 Perfect time of year for your pasta salad! Just now starting to pick tomatoes so this salad and others like it are in the near future. YAY! I have an ereader copy and there is no pages 291-292. Sorry about that. I love Reichl too. Looks like a great recipe. And a terrific book. I worked in Manhattan when she was a critic for the NYT, and always looked forward to her weekly review. 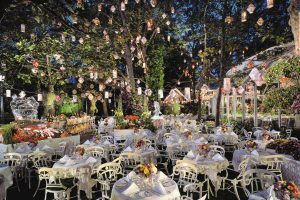 Tavern on the Green was gorgeous. And the food really was bad. 🙁 Really enjoyable post — thanks. 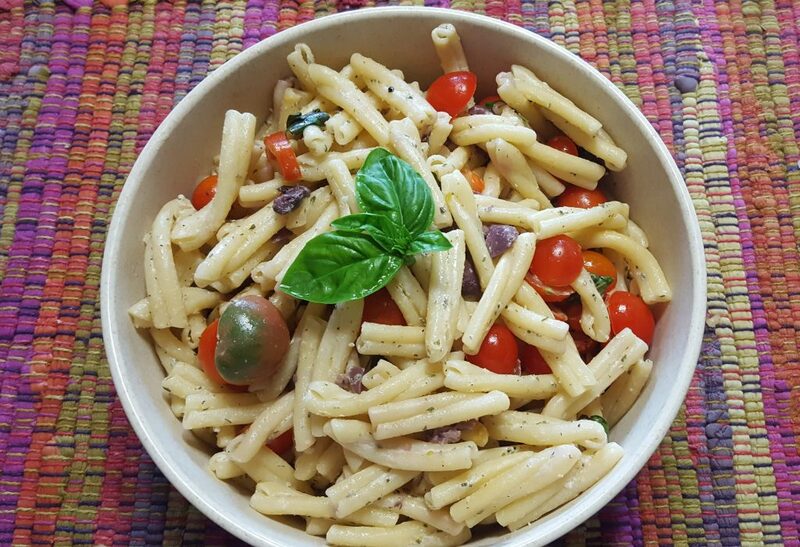 Pasta, cherry tomatoes and goat cheese is a great combination this time of the year when tomatoes are plentiful and tasty. I actually have trouble making them last from the farmers’ market to my kitchen 😉 It is always a pleasure to read your book reviews, Debra.